No matter how much London wants to use the Skripal case as a stick to beat Russia with, it needs Moscow in its upcoming fight for the Iran nuclear deal abandoned by Donald Trump on May 8, Adam Garrie, a geopolitical analyst and director at Eurasia Future, opined. "Now Europe will have to work with both Russia and China if it is serious about preserving the JCPOA (Iran nuclear deal), Europe (including Britain) may need to relax sanctions in a meaningful way because the JCPOA cannot be saved by Europe alone. Europe will need to work with Russia and China and this means dropping sanctions against Russia and opening up EU markets to China," the analyst told Sputnik. On May 17, Prime Minister Theresa May met Chancellor Merkel of Germany and President Macron of France in Sofia. The three "reiterated their firm commitment to ensuring the deal is upheld" and "pledged to work with the remaining parties to the deal to this end." The next day, former spy Sergei Skripal, who was allegedly attacked in Salisbury, England with the A-234 nerve agent on March 4 along with his daughter Yulia, was discharged from hospital. 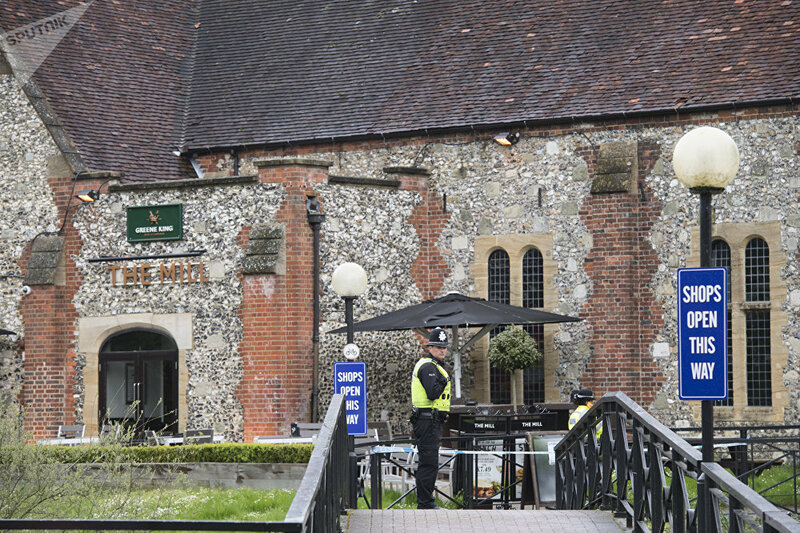 Earlier, Yulia and Nick Bailey, the police officer who was also exposed to the poisonous substance, left the Salisbury hospital. "In the interests of Sergei and Yulia's safety, we will not be discussing any protective or security arrangements that are in place," a Scotland Yard spokesman said Friday. The mysterious poisoning of the Skripals prompted a diplomatic row between the UK and Russia, since London rushed to blame Moscow for the incident. 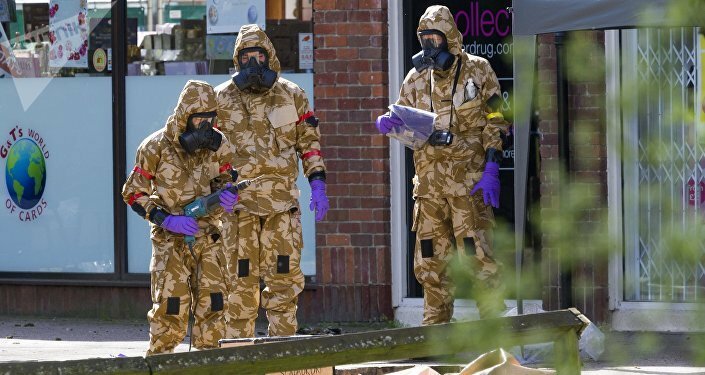 The UK leadership insisted that the two was poisoned by "Novichok," the other name for the poisonous substance, referring to the A230 (A232, A234) series of nerve agents developed in the Soviet Union in the 1970s. Since the collapse of the USSR, the formulas of the group of agents have been no secret for the international community: As it turned out, Czech and German scientists have had their hands on the substance, among others. So, following London's logic, one could easily blame Berlin for a string of deadly sarin attacks in Syria by citing the fact that the highly toxic synthetic organophosphorus compound was discovered by German scientists at IG Farben in 1938. However, Porton Down specialists hammered the final nail in the coffin of the British arguments by stating that they couldn't identify the poison's origin. "The UK was never interested in a rational approach to finding out what happened in Salisbury," Garrie underscored. "They were interested in a ready-made infowar for the fast food generation with the more important benefit of having an excuse to renew old sanctions and pass new ones." The geopolitical analyst noted that neither was it surprising that no British mainstream media resource challenged London's dubious reasoning: "The fact that none of the UK mainstream media said anything either, shows that journalism in the mainstream media today is about merely reporting on what government officials say rather than analyzing why they are saying it and even more importantly investigating what they don't say." According to Garrie, the Skripal case is yet another page in the Western anti-Russia sanctions saga. The crux of the matter is that "the sanctions against Russia have helped prop up a Western US-based financial industry that is under serious threat from the multipolar world." "However, the strategy behind this was very short-sighted," the analyst highlighted. "All it has ultimately done is convince countries like Russia, Iran, Turkey, China, Venezuela and many others to abandon Western financial institutions, trade in their own currencies and look to China as a far more rational economic superpower than the United States." He opined that "Russia's CryptoRuble which is set to come out is a further sign of Russia embracing the power of technology to create means of transactions that do not rely on Western institutions." "Furthermore, sanctions have made Russia's agricultural industry 'great again,' something which many opposition politicians in Russia had wanted for years, particularly those in the Liberal Democratic Party of Russia (LDPR) and the Communist Party of the Russian Federation (KPRF)." Although the investigation into the Skripals' poisoning is still going on, Garrie believes that "it will end up with nothing to show." The analyst explained that "the entire canard was designed to accomplish three things in the immediate term": "First, to distract from Russia's role in helping Syria to defeat Takfiri terrorism; second, to distract from the reality that Russia was about to hold the 2018 presidential election where, as widely expected by anyone who follows Russian politics, the incumbent won with a large majority; third, to discourage Europeans from travelling to Russia for the World Cup by portraying Russian people and the Russian state as somehow sinister." However, he explained that "in a day and age where the 'Russia narrative' is so over-saturated, most people who care to follow the narrative have made up their mind already." Therefore, the Skripal case has not changed anything in a meaningful way. Most people in Europe and North America care more about their jobs, wages, sports and prices, rather than geopolitics, he remarked, adding that the fuss around Russia has produced an unintended outcome: "Of those who do follow the 'Russia narrative', many previously ambivalent people in the US, UK, France etc., have actually become more, rather than less, fond of Russia." On the other hand, Garrie continued, the UK government is struggling to divert the public's attention from Brexit as well as grave economic and social problems at home. "I'm sure a good fiction writer could come up with something novel to distract from these terrible scandals, but since the UK government can't seem to find such an author, they've merely gone back to demonizing Russia. It's the most uncreative act of fiction in recent memory," he said. At the same time, not everything is rosy for the UK leadership in Syria, as the Syrian Arab Army is making progress on the ground amid the reports of the alleged military buildup of US, British and French armed forces in northern Syria. Meanwhile, Syrian government forces have repeatedly drawn the attention of the international community to NATO-made weapons and chemical substances, including those allegedly produced in Porton Down, the UK. "The entire Western world, with few exceptions, has something to hide in Syria," Garrie underscored. "They have overtly supported Takfiri factions in Syria against a secular, progressive government… When one then realizes how much money and how many weapons these Western governments gave to the Takfiris, the scandal deepens." The analyst underscored that it was Russia that played a substantial role in defeating Western-backed terrorists in Syria. Therefore, it will be Russian companies that, along with China, Iran and others will rebuild the Arab Republic. "The Western powers put in a lot of investment into the people they thought would conquer and they got no return on that investment. No wonder they are so cross with Russia," he said. In addition, "Russia's Mediterranean base in Tartus is not going anywhere and this scares a British state that throughout the 19th century exploited Turkey and forced it to fight Russia multiple times in order to try and box Russia into the Black Sea. Now Turkey and Russia are partners and Russia's warm water Mediterranean base will continue to haunt the old imperial powers who never wanted Russian soldiers to wash their feet in the warm waters of the south." The views and opinions expressed by Adam Garrie and Ekaterina Blinova are those of the contributors and do not necessarily reflect those of Sputnik.